I had a great time yesterday speaking with Michelle Spalding of Illuminate Together Radio. And I wanted to send out an official thank you for the invitation and wonderful chat. 30 minutes sure did fly by quickly! The show has already uploaded the episode of our conversation. If you missed it LIVE on Wednesday, you can listen to the PodCast anytime you’d like on BlogTalk: Illuminate Together with Springwolf. From time to time I make appearances for lectures, workshops, book signings and interviews. 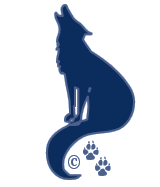 We share the dates, locations and information about these events on the Appearance page here on Springwolf Reflections..